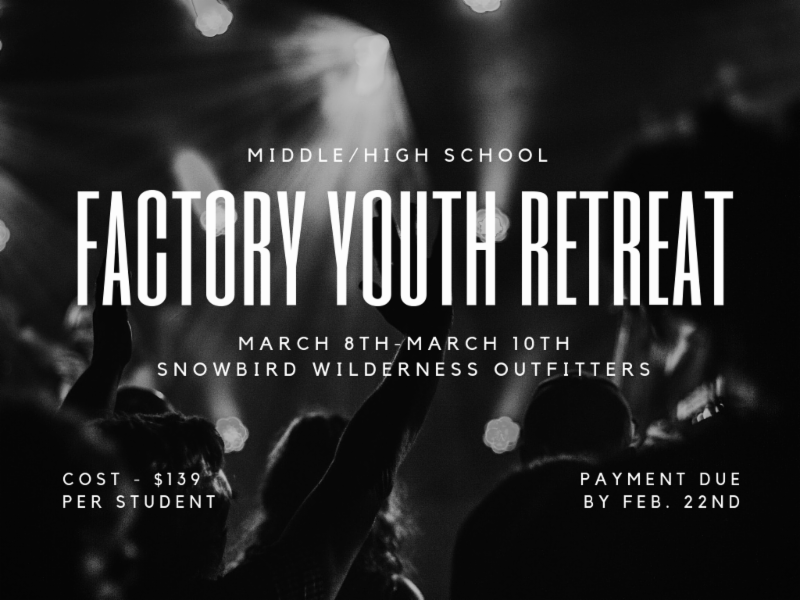 Factory Youth, we invite you to join us for a weekend of community and fun , Friday, March 8th through Sunday, March 10th, at Snowbird Wilderness Outfitters. Cost is $139 per student. Register your student below or at church.